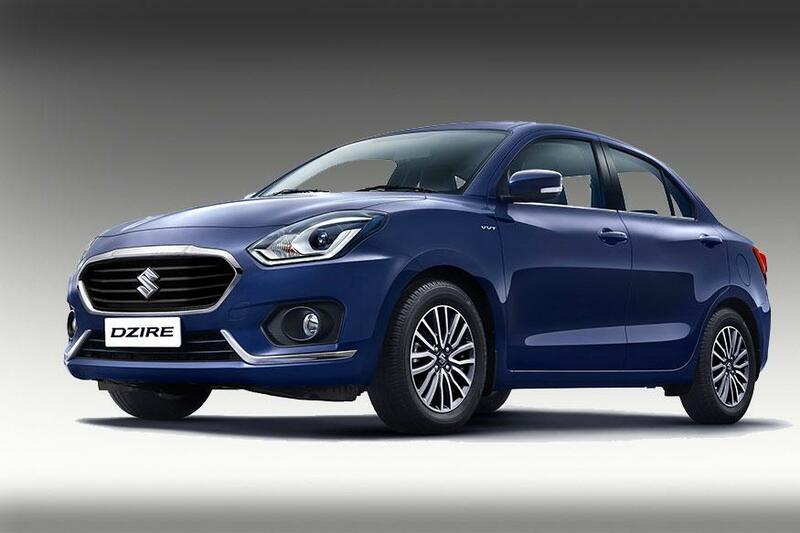 Maruti Suzuki has launched one of the most anticipated models of this year, the Dzire, and here is everything you need to know about the car. The 2017 Maruti Suzuki Dzire is a completely new model and its styling is borrowed from the new generation Swift hatchback. The car gets a massive trapezoidal grille that complements its front look. Moreover, the car comes with three new paint schemes – Oxford Blue, Gallant Red and Sherwood Brown. Apart from these three, there will be Magnum Grey, Silky Silver and Pearl Arctic White shades. The overall look of the car is further enhanced by the sporty 15-inch diamond cut alloy wheels. The cabin now looks more premium than before. It gets a two-tone interior theme that is complemented by various modern features. Also, all the variants of the new Dzire come with dual front airbags, ABS with EBD and Brake Assist as standard. The car competes with the likes of Ford Aspire, Volkswagen Ameo, Tata Tigor, Honda Amaze, etc. The new Maruti Suzuki Dzire is powered by a 1.2 -litre K-Series 4-pot petrol engine that churns out 82 bhp at 6000 rpm and 113 Nm of peak torque at 4200 rpm, while the diesel variants are fitted with a 1.3-litre DDiS mill that delivers 74 bhp at 4000 rpm and 190 Nm of peak torque at 2000 rpm. The petrol version comes with an ARAI-certified fuel efficiency of 22 kmpl while the diesel engine is claimed to return a fuel mileage of 28.48 kmpl. Both the powertrains are mated with a 5-speed manual and Automated Manual Transmissions. The 2017 Maruti Suzuki Dzire is available for a starting price of Rs 5.45 Lakhs, Ex-showroom, Delhi. You can book the new Maruti Suzuki Dzire for a token amount of Rs 11,000 at the Maruti Suzuki dealerships across the country.